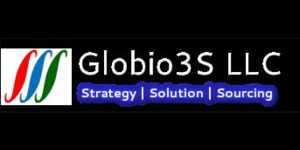 Striving to bridge and harmonize the business development between the developed market and the emerging market, Globio3S (Global Biological Strategy-Solution-Sourcing) is a global biopharmaceutical consulting company that provides excellent services of business strategy, operation solution and global sourcing to our valued biopharmaceutical and biotech clients. Our mission is to create unique value to our costumers by identifying global opportunities, providing business solutions and increasing efficiency. Fraunhofer USA Center for Molecular Biotechnology Impact Colors, Inc.